Experts in the field, Drs. 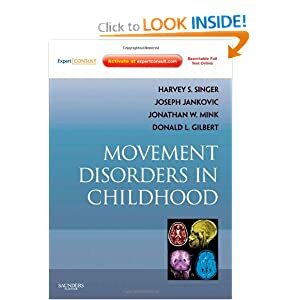 Singer, Mink, Gilbert, and Jankovic, fill the gap in the market by offering the only comprehensive text devoted solely to the diagnoses and treatment of all pediatric movement disorders. Discussions of common and rare disorders such as movements that occur in sleep and psychogenic movement disorders and the latest advances and developments in medications keep you apprised of today's best practices. 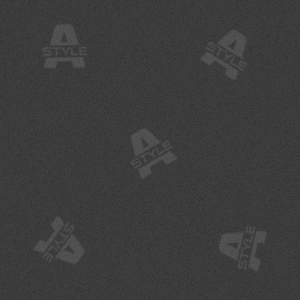 Each chapter is accessible, illustrated, stylistically uniform, and carefully referenced, making it easy to access the information you need. This brand-new reference is the ideal resource for the seasoned specialist as well as the non-expert clinician. Best of all, Expert Consult functionality gives you convenient access to the full text online - fully searchable, a downloadable image library, and enhanced visual guidance with narrated, diagnostic videos at expertconsult.com.
. Discusses neurobiology, classification, diagnostic evaluation, and treatment, making this a one-stop-shop for all you need to know to diagnose and treat any child with any movement disorder.
. Offers expert guidance and detailed coverage on today's hot topics, including movements that occur in sleep, drug-induced movement disorders in children, and psychogenic movement disorders to help you better treat whatever you encounter.
. Addresses developmental, paroxysmal, hyperkinetic and hypokinetic, and other movement disorders, offering complete, comprehensive coverage.
. Presents chapters based on clinical symptomology and disease with specific therapy guidance at the end of each chapter. Harvey S. Singer, M.D. is currently the Haller Professor of Pediatric Neurology at the Johns Hopkins University School of Medicine. He graduated from Western Reserve University School of Medicine, did his pediatric training in Chicago and Cleveland, and his pediatric neurology residency at the Johns Hopkins Hospital, after which he remained on the faculty. Clinical research interests include movement disorders, especially Tourette syndrome, proposed autoimmune disorders, and stereotypic movements. His translational research-oriented laboratory focuses on autoimmune mechanisms in autism, PANDAS, the neurobiology of tics, and the pathophysiology of stereotypic movements in animal models. He has been the recipient of many federal and private grants. Dr. Singer has authored numerous original articles, chapters, and two books. He is the first recipient (2013) of the Child Neurology Society's Blue Bird Clinic Training Program Directors award. At Cincinnati Children's, Dr. Gilbert directs the Movement Disorders and Tourette's Syndrome Clinics, which specialize in evaluation and pharmacologic treatment of tics, chorea, tremor, dystonia, stereotypies, ataxia, and other movement disorders. Dr. Gilbert directs or participates in a number of single and multi-center studies into causes and treatments of Tourette's Syndrome, ADHD, and Movement Disorders. Dr. Gilbert directs the Transcranial Magnetic Stimulation Laboratory at CCHMC.